With June starting on Monday, I thought I'd go ahead and put this out there. The May program listings can point you toward things to do this weekend, as we wave good-bye to May. June 5-7: Fire at the Furnace and Arts on Fire—Friday, June 5, 8-11 pm, is the Fire at the Furnace fundraiser at Scranton Iron Furnaces with a parade, nighttime iron pour, entertainment, and more (you can get tickets in advance for $15 and at the door for $20). The Arts on Fire Festival takes place Saturday and Sunday, 11 am-4 pm, with industrial artists working in glass, metal, recycled materials, and clay (plus children’s activities, food, and music). Admission to the Arts on Fire festival is free. June 13: South Side Farmers Market opens—through October 3, the South Side Farmers Market is held on the grounds of the Scranton Iron Furnaces. 10 am-2 pm. June 22-26, 29-July 3: Summer History Camp—summer camp is held weekly through early August for different age groups (check the website for details and to register). June 26: Baseball!—watch the Wilmington Blue Rocks play the Potomac Nationals (Carolina League baseball) and benefit the Brandywine Battlefield Park. Tickets online at Chadds Ford Live. Gametime is 7:05 pm at Frawley Stadium in Wilmington, DE. June 13: General meeting and lecture—speaker to be announced is Dr. Mark McConaughy, archaeologist based at Bushy Run and part of the staff of the state historic preservation office. $5 (free for members of the Bushy Run Battlefield Heritage Society). 1 pm. June 27: Con on the Run—a day of historical tabletop gaming (see website for more info). $5 includes museum admission and battlefield tours (free to members of BRBHS); food and drink will be available for purchase during the day. 9 am-5 pm. June 6: Forest Diplomacy - Edge of the Woods Ceremony—in Conrad Weiser's time as a colonial diplomat, large treaty conferences were preceded by a preliminary meeting, in keeping with Native American customs. In addition to reenacting this important custom, interpreters will demonstrate what went into keeping an 18th-century plantation up and running. Site will be open 10 am-4 pm, with Edge of the Woods ceremonies at 1 and 3 pm. June 7: Colonial Craft and Demonstration Day—craft demonstrators will share the historical context, materials, and equipment of a variety of mid- to late-18th-century trades. 11 am-4 pm. June 7-Sept. 6: Summer hours—site will be open every Sunday, noon-4 pm. June 16: Annual Dinner and Lecture—Henry Deemer, with his wife, Diane, and board member Sue Dieffenbach, will present a program entitled "Mrs. Buckingham." The after-dinner program explores the history of Cornwall Iron Furnace up through its donation to the Commonwealth by Mrs. Margaret Buckingham. Dinner and program will be held at The Timbers in Mt. Gretna. Deadline for reservations is June 9; cost is $35 per person. Call 717/272-9711 for reservations. June 12-14: Patriot Days Scout Encampment—scout and other youth groups are invited to camp on the grounds and participate in craft and other activities. For more information and to register, visit patriotdays.org. 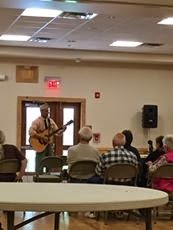 June 20: Evening on the Green—this program includes music by the Toad Creek Duo featuring Keith Brintzenhoff (5:30-7:30 pm), tour guides in period dress, colonial era games and toys, old-fashioned ice cream making, and wine-tasting. Admission is $6 for ages 16+, $4 for ages 4-15 (free for FDBH members). Friends of Daniel Boone Homestead will be selling pulled pork sandwiches as a fundraiser: $6 for adults and $4 for kids buys a sandwich, 2 sides, and a drink. Overall event time is 5-9 pm. June-August: The Visitor Center at historic boomtown Pithole will be open every Saturday and Sunday; admission is charged. An orientation film and exhibits are available. 10 am-4 pm. June 6: Wildcatter Day at Historic Pithole—help kick off the summer-long celebration of Pithole's 150th anniversary. Entertainment by the Men of Ivy and the Good for Nuthin String Band, plus food, guided tours, and more. Admission will be charged. 10 am-4 pm. June 13: Something More Saturday—explore the exhibits and grounds of the Museum and enjoy dulcimer music provided by the Elm Street Strummers. Included in regular admission (special family admission rate of $20 for up to 2 adults and 3 children). 10 am-3 pm. June 27: Oil Valley Blacksmith demonstrations—offered the last Saturday of each month through October. Included in regular admission. 10 am-2 pm. June 27-28: Patch Town Days—this long-running and popular program provides a glimpse of life in a Pennsylvania coal patch town circa 1870. Music, food, dancers, and more. UPDATE: come see the new Company Store exhibit as well! Admission charged. 10 am-5 pm both days. June 4: Evening Conversations Series—Dr. Patricia Gibble's topic is "Pennsylvania German Women." The program is free; donations are welcome. 7 pm. June 21: Father’s Day—explore the apprenticeship system of the 18th century and try your hand at various make-and-take activities suitable for all ages. Admission is $6 per child and accompanying adult; $3 for each additional participant (free for family level members of ECA). Site open noon-5 pm; activities available between 1 and 4 pm. June 15: Movie Night—enjoy a showing of "Mutiny on the Bounty," starring Charles Laughton and Clark Gable, on the museum's outdoor plaza (with Niagara's sails as the screen). Event is free; free popcorn provided. Movie begins at dusk (so, 9-ish). June 5-July 8: History Inspires...Again Art Show—front lobby of Fort Pitt. Opening reception June 5, 5:30 pm, otherwise on view during regular museum hours, 10 am-5 pm. June 6: Living History Series: Fife and Drum—learn about 18th-century military music and its affect on life at Fort Pitt. Point State Park. 10 am-4 pm. June 13-14: Living History Series: Artillery—interpretation of the various trades involved in making and firing cannon; firing demonstrations as well. Point State Park. June 20: Living History Series: Cooking—learn what early Pittsburghers ate as museum staff and volunteers prepare 18th-century recipes. Point State Park. 10 am-4 pm. June 27: Living History Series: Buckskins and Powderhorns—learn how buckskins and powderhorns shaped the 18th-century frontier. Point State Park. 10 am-4 pm. June 10: Ambler Symphony Concert—bring a chair or blanket, a picnic dinner or snack, and enjoy beautiful music on the lawn. Concert and parking are free, donations are accepted. (Raindate is June 17.) 7 pm. June 21: Site open—Hope Lodge will be open the third Sunday of each month through October, with guided tours offered at 1 and 2:30 pm. Admission: adults, $5; ages 6-17 and seniors, $4; age 5 and under and Friends of Hope Lodge, free. 12:30-4 pm. June 28: Liberty's First Crisis—author Charles Slack will discuss his book chronicling the prosecution of newspaper editors who published articles critical of President John Adams. Among those tried under the Alien and Sedition Act was Thomas Cooper, editor of the Sunbury and Northumberland Gazette, and friend of Dr. Priestley. 2 pm. June 16-19: Summer Institute—Institute offers a wide range of hands-on classes, lectures (including several that are free-of-charge), tours, and evening events for adults. Some classes are already full, but many opportunities await (full list of offerings). UPDATE June 21: Civil War Lecture—historian Vince Slaugh will present "Union Warriors: A Lancaster County Company Fights the Civil War," which focuses on Company E, 79th Pennsylvania (more details). While you're there, visit this year's visitor center gallery exhibit, "1865: Lancaster County at the Close of the Civil War." Lecture is free; regular admission applies to visit the exhibit and site. 2 pm. June 23: Hands-on History Days—chores, games, crafts, wagon rides, a one-room schoolhouse lesson, and more for kids of all ages ($10 per person, children 5 and younger get in free). Contact the museum for more information. Saturdays: Craft and Trade Demonstrations—each Saturday through September you will find a different craft or trade demonstration in the Village. June 6 - The Art of Blacksmithing; June 13 - 19th-century Foodways: Bread-baking; June 20 - Niceties and Necessities. Included in regular admission, so please start at the Visitor Center. 10 am-5 pm. June 4: Behind-the-Scenes Tour—take a closer look at Harmonist furniture with a behind-the-scenes tour of the exhibit, "Harmony in Wood Revisited," artifact storage areas, and the George Rapp House. Light refreshments will be served. Cost is $20, $16 for Friends of OEV. Registration is required; contact Holly Dofner at 724/266-4500 x 102. 6-9 pm. June 14: Site open Sunday—OEV is open on the 2nd Sunday of the month (closed other Sundays). BREAKING NEWS 6/25: THIS EVENT HAS BEEN POSTPONED due to the inclement weather forecast and will be rescheduled June 27: An American Celebration—enjoy music, storytelling, artisan demos, antique cars, and food as you explore the Village. There's also a spelling bee (download the word list if you want to study). All included in regular admission. 10 am-5 pm. June 7: Historic Trades—the blacksmith and the joyner will demonstrate the skills needed to make equipment for the estate. Included in regular admission. 1-4 pm. June 14: Living History Theater—“Pirates at Pennsbury” takes place during the summer of 1700. Hear the news of pirates afoot in Philadelphia, learn about navigation on the riverfront, and stop by the kitchen to cure hangovers, scurvy, and other nautical ailments. Included in regular admission. 1-4 pm. June 20: Brews & Bites at Pennsbury Manor—sample beers from Philadelphia-area craft brewers and enjoy food, musical entertainment, and demonstrations of historic beer brewing. The event page has info on ticket options; tickets are on sale now. Must be at least 21 to attend. 4-8 pm. June 21: Open Hearth Cooking—the cooks will prepare 17th-and 18th-century recipes to explore how cooking techniques were evolving. Included in regular admission. 1-4 pm. June 28: Garden Highlights and Beer-Brewing Demo—experience some of the labor involved in keeping a working kitchen garden in shape. The brewers will be working on a batch of Coriander Pepper Beer in the Brew House, using 17th-century techniques. Included in regular admission. 1-4 pm. Saturdays and Sundays in June: Guided tour (1 pm) included in regular admission. June 3: Friends’ Richard Koontz Memorial Lecture Series—this month’s speaker is Richard Frederick, Ph.D., whose topic is "The Original Veteran: World War One Doughboys." Donations encouraged. 7:30 pm. June 6: Exploring the Armor—a special guided tour of the tracked vehicles displayed on the museum grounds, including a chance to look inside the crew compartments. Cost is $15, $5 for Friends of the PA Military Museum. Participation is limited, so please reserve your spot by contacting the Friends of the PA Military Museum. 2 pm. June 13: The True Story of Winnie the Pooh—this presentation and movie explore the story of a Canadian Regimental veterinarian in World War I, a bear that ended up in the London Zoo, and how they inspired author A.A. Milne. Donations encouraged. 1:30 pm. 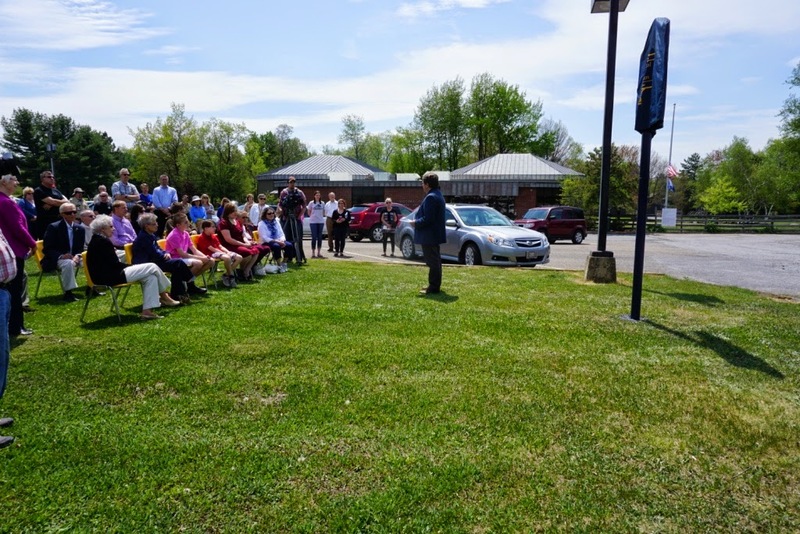 June 14: Flag Day Celebration—State College Elks Lodge and local veterans organizations sponsor this annual Flag Day service and U.S. Flag Retirement Ceremony on the Shrine parade grounds. Attendees are invited to bring U.S. flags that are no longer serviceable; the flags will be disposed of properly. 6 pm. June 20: Buzzcut Saturday—just what it sounds like. Start the summer with a traditional boot camp haircut. Donations accepted or free with museum admission. 10 am-3 pm. June 27: Lecture—"The Rise of the Beast: How the Nation Changed for our Entry into World War One" explores Americans' attitudes toward the war in Europe from 1914 through the US declaration of war. Included in regular admission. 2 pm. June 13-14: Norfolk Southern Days—offered in partnership with the Norfolk Southern Corporation, this two-day event will highlight railroad safety programs, careers in railroading, and the history of freight and passenger railroads. Several pieces of NS equipment will visit the museum, including locomotive No. 911, dedicated to America's first responders. During the two days, first responders (police, firefighters, and emergency medical personnel, paid or volunteer) will receive 50% off regular admission by presenting a current ID card. Events included in regular admission. Saturday, 9 am-5 pm; Sunday, noon-5 pm. June 28-July 5: Reading Railroad Days—the spotlight turns to the Reading Railroad, one of the most important historical transportation systems in eastern PA. Lots of activities, including model railroad layouts courtesy of the Reading Company Technical & Historical Society. Included in regular admission. 9 am-5 pm. June 5-6: Made in the Glades Craft Sampler workshops—choose either the "Mechanics Trades" or "Housekeeping Trades" sampler and learn a variety of skills. Cost is $50, $40 for members. Call 814/445-6077 for more info and to register. 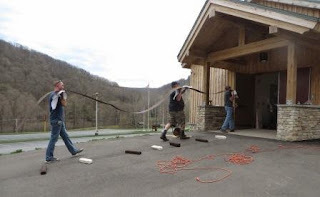 June 10: Helping Hands for History—the 2nd Wednesday of June, July, & August, volunteers are needed to assist with keeping the gardens tended, artifacts cleaned, and cabins daubed (among other things). Roast hot dogs over the fire when the work is done. Call 814/445-6077 for more info and to let them know you're coming. UPDATE: June 19: Exhibit opening—Art in the Museum features the work of entrants the Laurel Highlands Photography Club and Town Planner Community Calendar photo contests. RSVP by June 12 (814/445-6077). 5-7 pm. June 29: History Day Camp—other dates for camp are July 13, July 27, and August 10. Each day will have a different theme: Join the Army; Pottery; Trades and Apprentices; Gardens, Bakeovens, and Pizza. Cost is $20 per day per child; sign up for all 4 and the cost is $75 per child (member discounts also available). Call 814/445-6077 to register. June 30: Archaeology Lecture—sponsored by the Somerset County Chapter of the Society for Pennsylvania Archaeology. June 13: Party Like It's 1965—celebrate the 50th anniversary of the State Museum and Archives Complex with retro games, hula hoops, trivia, and a 1965 planetarium show. Animals from ZooAmerica in Hershey will make a visit and the Good Humor man will be outside the museum. Indoor activities included in regular admission. Noon-3 pm. June 19: 3rd in the Burg/Learn@Lunchtime—PHMC architect Andrea Lowery will present a discussion of the Midcentury Modern architecture of the State Museum and Archive Complex. Museum admission is free from 11 am to 1:30 pm; program is at 12:15. June 21: Father's Day Celebration—offered in partnership with The Writer's Wordshop and Jump Street, this program features a play, a poetic tribute to fathers, and other activities. Museum admission is free today. 1-4:30 pm. June 26: Learn@Lunchtime—Join Theresa Alberici, educator from the PA Game Commission, for "Endangered Species in Harrisburg" in the Nature Lab on the 3rd Floor (see a list of more Nature Lab programs scheduled for the summer). Museum admission is free from 11 am to 1:30 pm; program is at 12:15. June 28: Exhibit opening and reception—“Art of the State,” the annual juried exhibition of Pennsylvania artists (list of finalists announced 6/9/15). The exhibit continues through Sept. 13 (included in regular admission). 2-5 pm. Saturdays: Farmers Market—local farmers and other vendors will set up near the intersection of River Road and Rt. 532 (or the Visitor Center parking lot in case of rain). 9 am-1 pm. UPDATE: June 20: McConkey's Market—in addition to the weekly Farmers Market, today offers artisans of many types, vintage clothing and jewelry at an outdoor market (more info). 10 am-4 pm. UPDATE: June 21: Venora Opera Company—enjoy opera and Broadway standards performed in the visitor center auditorium (more info). Tickets are $25 for adults, $10 for students with ID. 2 pm. Before we dig in, I'll note that most, but not all, Trails of History sites will be open on Monday, May 25, for Memorial Day. To avoid surprises, be sure to check the list of open sites. I guess I should say that all weeks are good weeks for history, but I had to title this post something. As mentioned in a previous post, May 15 was a big day on the Trails of History. 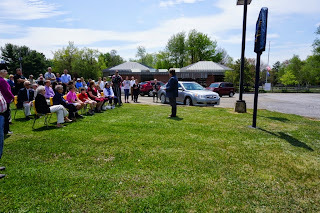 Eckley Miners' Village unveiled a new state historical marker celebrating 160+ years of an anthracite patch town's heritage (you can find the text of the marker in an article from the Standard Speaker). And we cut the ribbon on the expanded visitor center at the Pennsylvania Lumber Museum and its new core exhibit, "Challenges and Choices in Pennsylvania's Forests." Tweets and photos from the Lumber Museum event are gathered on Storify, and here are a few photos I took on Saturday, as visitors enjoyed free admission and programs. Saturday and Sunday, May 23-24, 10 am-4 pm, Pennsylvania Military Museum: American and German WWII reenactors will be bivouacked on the museum grounds portraying field life in the European Theater of Operations, 1944-45, as part of the "World War II Revisited" program. Grounds will be open 10 am-4 pm. Saturday only, at 2:30 pm, "Letters from Home: A Serviceman's Canteen Show” will entertain the troops and homefront crowd (please bring your own seating). Inside the museum, May 23-25, you'll find a small exhibit of the Civil War casket flag of Amos Myers and the WWII Medal of Honor of Foster J. Sayers, both Centre County soldiers. Sunday, May 24, 1 pm, Washington Crossing Historic Park: a memorial observance at the Continental soldiers gravesite, Thompson-Neely House (Upper Park). Stop by the Visitor Center to see the new exhibit, "The Gentleman Soldier," that highlights the economic and social differences between senior officers and rank-and-file soldiers of the Continental Army. Wanting to plan your weekend? The May program listings can help. Wondering which sites are open on Memorial Day? There's help for that, too. 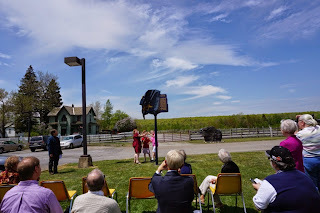 As I may have mentioned once or twice, today (May 15) is the grand reopening for the Pennsylvania Lumber Museum (background info and details are in the official press release). 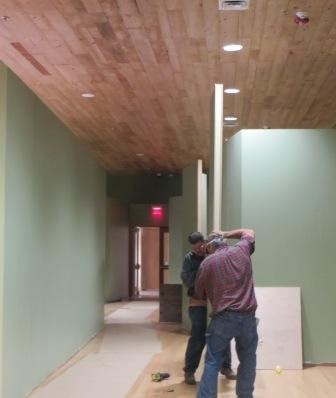 The ribbon-cutting is at 10 am today but the celebration will go on throughout the weekend with music, walks on the sustainable forestry trail, a program about the Civilian Conservation Corps (CCC), and much more. Oh, and free admission. The part of the project that I have been most directly involved in is the new core exhibit, "Challenges and Choices in Pennsylvania's Forests." 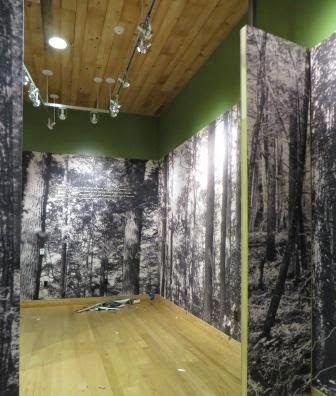 The new exhibit builds on the research and collections of the original exhibits (focused on the history of lumbering in Pennsylvania and the role of the CCC in reforestation and state parks) and adds other topics, including contemporary efforts to balance recreation, conservation, and economic issues. In posts earlier this year, curator Lauren Jaeger wrote about freezing textiles, and her colleague Rachel Yerger wrote about vacuuming and housing textiles. Here are a few more behind-the-scenes photos of the museum installation, courtesy of Lauren, Rachel, and regional curator Susan Hanna. I hope this will whet your appetite to see the exhibit for yourselves. Spring seems to have given way to summer already, at least for the time being. I'm headed to Landis Valley Village & Farm Museum's annual Herb & Garden Faire today. I go almost every year, because 1) I love it and 2) I've managed, as usual, to kill most of the plants I bought last year. I'm every garden center's best friend. Anyway, I've rounded up some items of interest (I hope) to share this week. The list of upcoming programs was in last week's post, so if you're looking for something to do this weekend, you'll find lots there. As part of the 150th anniversary of the founding of Pithole, PA, an oil boomtown near the site of Drake's well, the folks at Drake Well Museum (who oversee the remains of the town) have planned a full program of events this summer. The visitor center (profiled in the Trailheads column in the summer issue of Pennsylvania Heritage magazine) will be open on weekends, starting June 6 with "Wildcatter Day." One of the quirky features of the big day is a Look Alike contest - visit the photo album on Facebook to see if you or someone you know looks like one of the Pithole residents pictured. More info on the contest is available in the Titusville Herald. You may have already heard that there is a direct link between one of this year's Pulitzer Prize winners and the PA Trails of History, but if you haven't here it is. Julia Wolfe's "Anthracite Fields," a choral work commissioned by The Mendelssohn Club of Philadelphia, recently won the Pulitzer for music. 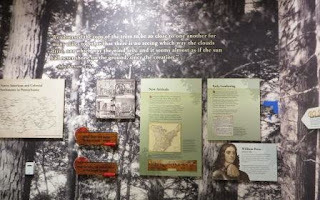 Wolfe researched life and work in the anthracite region of Pennsylvania, visiting many locations in the area, including our own Anthracite Heritage Museum. You can read more in an Associated Press story, including quotes from AHM's Barbara Powell, who attended the work's premiere last April. I'm really late in sharing this one. At the end of March, Chris Rosenblum of the Centre Daily Times wrote an interesting piece about the lecture series at the Pennsylvania Military Museum, formally known as the Friends' [of PMM] Richard Koontz Memorial Lecture Series. Rosenblum interviewed WWII pilot John Homan, who was the featured speaker for April's program, and museum educator Joe Horvath about the value of sharing and capturing the stories that are so much a part of our history. You can find more info about upcoming lectures and programs on PMM's website. Next Friday, May 15, Eckley Miners' Village will receive its new PHMC Historical Marker. Eckley turned 160 last year and the new marker provides the public with a brief history. The dedication ceremony is scheduled for 2 pm. 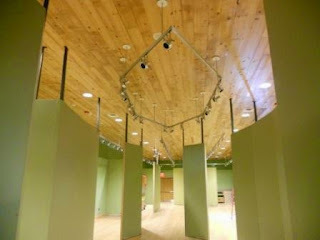 May 15 is also the grand reopening of the PA Lumber Museum and its new core exhibit, with a ceremony scheduled for 10 am. In next week's post, I'll share some behind-the-scenes photos of the run-up to this much-anticipated event. Stay tuned. Happy May Day! We have quite a list of activities for the coming month. Most sites on the Trails of History will be open on Memorial Day, but we'll post a list in a week or two so you can plan. If you've been following the Museum Danceoff 2 (mentioned in a previous post), voting is now into Round 2. UPDATE: May 23—author Louis Ronald Scatena will present a program and sign copies of his book, Anthracite Grade School on Irish Hill, which explores the immigration of mine workers, hardships that families faced during the Depression, and his experiences working with his father in the coal industry. Program is free; admission is charged to visit the museum's exhibits. 3:30 pm. UPDATE: NEW LISTING-May 30: Anthracite Heritage Conference 2015—featured speakers this year include Nancy Deisroth, Mike Korb, James LaRegina, Patrick McKnight, Noreen O'Connor, and Richard Sedlisky. Cost is $20 (includes refreshments, lunch, and museum admission). Register by May 27 by calling 560/963-4845; check Anthracite Heritage Museum's Facebook page for updates. May 16: Encampment Day 2015—program includes military and civilian reenactors, firing demonstrations, and lecture by Mike Harris, author of Brandywine: The Military History of the Battle that Lost Philadelphia but Saved America. 10 am-4 pm. May 1: Visitor Center reopens for the season—hours are Wed.-Sat., 9 am-5 pm, and Sun., noon-5 pm. Park is open daily 8 am to dusk. May 5: Westmoreland Day of Giving—donations to Bushy Run through this online initiative will be enhanced from a pool of about $50,000 by the Community Foundation of Westmoreland County. Find more info on the foundation's website. 6 am-midnight. 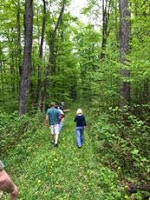 May 9: Spring Nature Walk—this annual event takes participants on an exploration of the woods and fields around the site; free for members of Bushy Run Battlefield Heritage Society, $5 fee for non-members. No registration required; wear sturdy, water-resistant walking or hiking shoes and dress for the weather. 10 am. May 16: Annual Spring Tea—as of April 29, this event is sold out. May 3: Living History Sunday—the public is invited to visit the homestead and park to learn about life in Berks County during the 18th century. Admission is free. Noon-4 pm. May 12: Friends Lecture Series—Dr. Bode Morin will present a talk on the Sloss Furnaces in Birmingham, Alabama. Morin is the site administrator at Eckley Miners' Village and is a former curator at Sloss Furnaces National Historic Site. Friends Lectures are held in Freeman Auditorium at Cornwall Manor, across the road from the furnace site. Admission is free (donations are welcome). 7 pm. May 3: Children’s Day Sheep & Wool Program—children and their families are invited to spend the afternoon learning about the young Daniel Boone and his family during the time they lived in the Oley Valley. Hands-on activities are on the schedule as well as a chance to see a local shearer get the Homestead’s flock of four sheep ready for summer. Admission is $8 for age 13 and older, free for children 12 and under; light refreshments will be available. Noon-4 pm. May 9: Boone's Beerfest—2nd annual event features tastings from numerous breweries; food concessions will also be available. Details are here. 2-6 pm (Boone house tours 2-4 pm). May 2: Engine Start-up Day—when the steam engines that power the Drake Well replica and the oil field equipment start up again, it must be (almost) summer! Included in regular admission. 9 am-5 pm. May 9: Something More Saturday—"Cooking in the Oilfields" is today's topic. Family-friendly activities help you explore the museum and grounds. Included in regular admission; special family rate of up to 2 adults and 3 children for $20. 10 am-3 pm. May 16: MEET-U in 5 and a Half Trail Run—enjoy a 5-mile or 13-mile run through the grounds of Drake Well Museum and Oil Creek State Park and help the museum’s MEET-U educational outreach program. More info on Facebook. May 21: Heritage Lecture Series—Linda Gray will use jewelry and clothing to illustrate her talk on mourning practices of the Civil War era. Cost is $5 for adults, $4 for seniors; members get in free. Doors open at 6 pm, program starts at 6:30. May 30: Blacksmithing Demos—monthly blacksmithing demonstrations on the grounds of Drake Well Museum by Oil Valley Blacksmiths the last Saturday of the month. Included in regular admission. 10 am-2 pm. UPDATE: May 31: Anthracite Films Program—in conjunction with the Anthracite Heritage Conference on May 30 (see listing under Anthracite Heritage Museum above), Eckley will present a program of anthracite coal films. The program will be led by F. Charles Petrillo and Prof. Philip Moseley (find more info about the films on Eckley's Facebook page). Included in regular admission. 1 pm. May 7: Evening Conversations Series—"Ephrata and the Early Mormon Church," presented by Nick Siegert, explores possible connections and ongoing research. Admission is free; donations welcome. 7-8 pm. May 10: Mother's Day Tea—enjoy afternoon tea and learn about women's lives in 18th-century Ephrata. Cost is $25 and includes tea, gourmet baked goods, and fruit, plus a special tour of the Sisters' House and admission to the Ephrata Cloister Chorus Spring Concert. 1-3 pm. May 10: Ephrata Cloister Chorus Spring Concert—in the historic meetinghouse. The program includes 18th-century music from Ephrata Cloister and other early communities, as well as works by Schubert, Brahms, Dawson, Billings, Mendelssohn, and Bechler. Admission charged. 4 pm. May 15: Opening Reception for Student Art Exhibit at Ephrata Public Library—throughout the spring, Ephrata Cloister has partnered with the Ephrata Public Library on a series of art workshops for students. The resulting Student Art Exhibit will be on view at the library through June 15. The opening reception is at the library; light refreshments will be served. 6:30-8:30 pm. May 16: William Woys Weaver—the noted food historian will present "PA German Kitchen Gardens and Heirloom Seeds," a talk postponed from the Winter History Class due to inclement weather. Cost is $15, $10 for members of Ephrata Cloister Associates, free for those who paid registration for Winter History Class. 10 am-noon. May 29: Community Days—geared for elementary age students, this program provides a number of education and activity stations for students and their teachers. Ideal for homeschool groups or others who want to learn at their own pace. Registration suggested; call 717/733-6600. May 30: Ephrata Cloister Chorus Fundraiser—featuring Kauffman’s Chicken BBQ (and sides). Tickets are $7; call 717/733-6600 to order. 10 am until sold out. May 9: Little Mates Discovery Day—family-friendly activities include knot-tying, nautical face painting, and maritime music. There will also be info on plastics pollution of lakes and oceans and a chance to view the Plastic Waters exhibit, which closes May 25 July 6 (held over by popular demand). For more info, contact Andrew at outreach@flagshipniagara.org. 10 am-2 pm. May 9: Adopt-a-Beach—help clean up the beach at Presque Isle State Park. More info here. May 17: Special Movie Presentation—Plastic Paradise: The Great Pacific Garbage Patch will be shown in H.O. Hirt Auditorium (off the museum/library lobby). Admission is free; you can RSVP at outreach@flagshipniagara.org. 2 pm. UPDATE: May 18: Little Mates Storytime at the Maritime—enjoy a maritime-themed story, meet and greet the guest reader, and tour the museum. Free and open to the public. For more info, contact Andrew at outreach@flagshipniagara.org. 10 am. May 22: Gallery Night—come see Plastic Waters and a related exhibit of artwork by students from Mercyhurst Prep as part of Erie Art Museum's Gallery Night program (visit other Erie galleries as well). Attendees will receive a 15% discount in the museum store; refreshments will be available. Admission is free (more info is here). 7-10 pm. May 16: Living History: Play Ball—before there was baseball (and a bunch of other sports that don't interest me), there was cricket. Take part in a pick-up cricket match in Point State Park and learn how soldiers at Fort Pitt might have passed some of their time. No experience necessary to play (more info here). 10 am-4:30 pm. UPDATE: May 22: Exhibit opening—using documentary evidence gleaned from 18th- and early 19th-century primary sources, dozens of rare artifacts, and a wide array of imagery, "Captured by Indians" examines the practice of captivity from its prehistoric roots to its impact on modern American Indians and other ethnicities. Included in regular admission. May 2-3: World War II Weekend—held in cooperation with The Horsham Preservation & Historical Association, this program features battle reenactments, displays of military equipment, and swing music. Admission charged (info and schedule here). Gates open at 9:30 am both days. May 17: Site open—Hope Lodge is open the 3rd Sunday of each month through October. Tours of the mansion are offered at 1 and 2:30 pm (corrected from original post); cost is $5 for adults and $4 for seniors and students age 6-17 (free for age 5 and under as well as members of the Friends of Hope Lodge). 12:30-4 pm. May 8-9: 28th Annual Herb & Garden Faire—so many plants, plus lectures by gardening experts, garden furniture, herbal products and baked goods, and lots of great food by local groups and caterers (details here). Admission is $10 for ages 5 and up. 9 am-5 pm. May 2-3: Beaver County History Days—Please check the website for more information. May 8: Home School Day—families can explore the village and take part in hands-on activities and demonstrations at a special rate of $5 per person. You must pre-register to get the education rate (more info here). May 10: Open Sunday—OEV is open the 2nd Sunday of each month (full operating schedule here), noon-5 pm. May 16: Garden Mart and Spring Garden Workshop—The Garden Mart offers free admission to OEV’s gardens, which will be filled with vendors and local garden-related organizations. The Spring Garden Workshop includes a full program of speakers, a tour of the gardens, door prizes, and lunch (must register for the full program by May 11). Details for both events, including registration options for the workshop. 9 am-2 pm. UPDATE: May 23: Basket Class—learn to make a flat fruit basket (see photo on OEV's Facebook page) with Sister Donna Wojtyna of Basket Creations. Cost is $60 and includes materials, coffee, and tea (feel free to pack a lunch); Friends of OEV pay $48. 11:30 am-4 pm. May 3: Historic Trades—the blacksmith and joyner will be on hand to demonstrate the skills needed to make furnishings and accessories for a 17th-century home. Included in regular admission. 1-4 pm. May 10: Happy Mother's Day—Pennsbury's living history theater role players will explore marriage, discipline, and care of children in the 17th century. And the sheep will be losing their winter coats today as well. Included in regular admission. 1-4 pm. 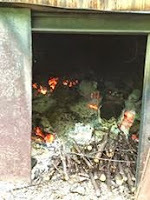 May 17: Open Hearth Cooking—fresh milk is the star ingredient today as the cooks talk about the importance of butter and cheese. Included in regular admission. 1-4 pm. May 24: Animals at Pennsbury—meet the furry residents and learn about the work they do. Included in regular admission. 1-4 pm. May 31: Beer Brewing Demonstration and Spring in Pennsbury's Garden—see what the gardeners are up to and then visit the Kitchen House to see a batch of Dorchester Ale being brewed. Included in regular admission. 1-4 pm. May 15: Grand Reopening Ceremony—the public is invited to attend the grand reopening ceremony (May 15) for the expanded and enhanced Visitor Center, including a brand new core exhibit (the building reopened to the public on April 1). 10 am. UPDATE: May 30: Spotlight on Natural History—tour the Feast Hall exhibit that recreates aspects of the Harmonists' natural history museum, one of the earliest in the country. Interpreters will be available in the exhibit from 11 am to 4 pm. Included in regular admission; please stop in the Visitor Center first to purchase tickets. May 2: Battery B Drill Exercise—Civil War-era reenactors from the 3rd Pennsylvania Volunteers will demonstrate loading and firing artillery pieces as they conduct their annual safety training and recruitment event. 10 am-4 pm. UPDATE: May 5: Centre Gives—help support the museum by donating during this 36-hour online giving campaign. Donations will be accepted starting at 6 am, concluding on May 6 at 6 pm. You can go directly to the Friends of the PA Military Museum page to donate. All donations will be stretched from a pool of funds administered by The Centre Foundation. May 5: Central PA Civil War Roundtable Series—"To Whom Would You Entrust the Confederate Treasury?" Captain James Bloom, US Navy (ret), traces the story of Confederate Navy Commander John Taylor Wood, who was tasked with delivering a supply of gold to his uncle, Jefferson Davis, in exile in Texas after the fall of Richmond in April 1865. Program is free; donation requested. 7 pm. May 6: Friends’ Richard Koontz Memorial Lecture Series—“Gettysburg: Myths, Misconceptions, and Misinformation." Author Robert P. Broadwater will compare first-hand accounts with the historic record to show how the event battle has been altered and maligned. Program is free; donation requested. 7:30 pm. May 9-10: The Great War Remembered: World War One—this living history program with encampments adjacent to the museum will interpret life on the Western Front. Additional programs (admission required) will take place in the Museum theater (check here for the schedule). 10 am-4 pm. May 17: A Celebration of Service—US Army reunion and memorial service sponsored by the PA National Guard and held on the museum grounds (photos of previous programs here). 9 am-4 pm (ceremony begins at 12:30 pm, but military vehicles, helicopters, and equipment begin arriving earlier in the day). May 23-24: World War II Revisited—American and German WWII reenactors will be bivouacked on the museum grounds portraying field life in the European Theater of Operations, 1944-45. Grounds will be open 10 am-4 pm. On May 23 at 2:30 pm, "Letters from Home: A Serviceman's Canteen Show” will entertain the troops and homefront crowd in the Service Canteen (please bring your own seating). May 25: Allegheny Mountain Region AACA Car Show—kick off summer with pre-war through modern classics on the grounds of the museum. $5 for on-site parking. 9 am-4 pm. May 9: National Train Day—activities for all ages will be offered to celebrate the role of railroads in American life. Kids can enjoy a Museum scavenger hunt, design-a-paint-scheme posters of the Museum's own GG1 No. 4800 electric locomotive and the Workin' on the Railroad track building activity. Included in museum admission. 9 am-5 pm. May 15: 3rd in the Burg—museum director David Dunn will offer a sneak peek at the renovations currently underway in Mammal Hall. Admission is free during the event. 5:30-7 pm. May 2: Washington Crossing Brewfest—as of April 27, the Brewfest is officially sold out. May 8: Sheep Shearing—the sheep will be relieved of their winter coats, and there will be demos of how the fleece is turned into clothing. Thompson-Neely House. Admission is $9 per person, ages 4 and older; reservations are required for groups of 15 or more (call 215/493-4076). 10 am-2 pm. May 9: Farmer's Market—the weekly Saturday market kicks off today and continues through the fall. Vendors set up near the corner of River Road and Rt. 532 (or Visitor Center parking lot when it rains). 9 am-1 pm. May 12: Lecture—Steven Cohen, collector, and Susan Taylor, executive director of the Friends of the Delaware Canal, will present "Unique and Rare Postcards of the Delaware Canal and Nearby Sites." The program will be held in the Visitor Center auditorium. Admission is free. 7:30 pm. May 15: Workshop—As part of a larger conference being held on-site, the public is invited to a half-day program featuring lectures and historic weapons demos (more info here). Cost is $20, payable at the door. Noon-4 pm. May 24: Memorial Day observance—this event, honoring the Continental soldiers' graves near the Thompson-Neely house, takes place the day before Memorial Day (program details in this article). Program is free. 1 pm.